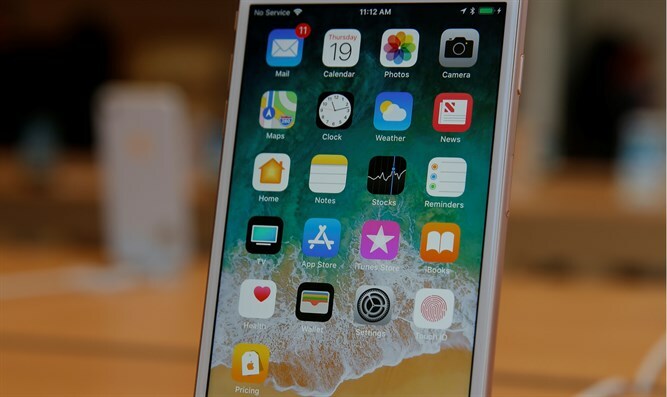 An Israeli government ministry has opened an investigation of Apple over its failure to disclose that software updates could slow the performance of some iPhones. The Consumer Protection and Fair Trade Authority, which is part of the Economic Ministry, announced Tuesday that it had launched the investigation on suspicion of consumer deception by questioning Rony Friedman, the CEO of Apple Israel. In December, Apple acknowledged that it provided software updates that slowed the phones in order to make aging batteries last longer. The slowdown often led consumers to buy new iPhones. Apple apologized for the software and cut the price of new batteries for affected phones. If the consumer protection agency determines that Apple violated Israeli law, it could liable for millions of dollars in fines. Following the apology, a $125 million class action lawsuit was filed in Tel Aviv against Apple accusing the company of breaching its basic duties toward users by failing to disclose that the software updates would have negative implications for their phone use. It says that the software updates impaired consumers’ ability to browse the web, check email and use various applications, and that consumers should have been made aware of the potential slowdowns before downloading the updates to the operating system.